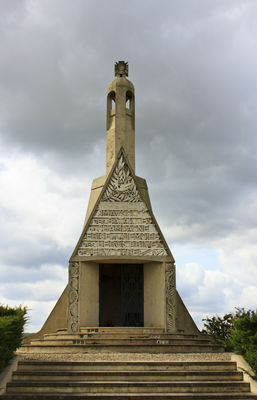 The Mausoleum, collective work of the Union rémoise des Arts décoratifs, was built in memory of the dead without burial of the battles of Champagne. The Necropolis of Sillery-Bellevue was built in 1923 to receive the bodies of soldiers from several French municipal cemeteries in the surrounding area and from temporary cemeteries settled throughout the First World War in behind the front. The bodies of 11 259 soldiers were buried there. In 1925, it was, with the Carnegie Library, one of the two achievements of the city of Reims presented at the Exposition International Exhibition of Decorative Arts of Paris. In 1927, thanks to Abbot Fendler, a decree authorized to raise the chapel-mausoleum at the end of the military cemetery of Sillery, in front of the ossuary. 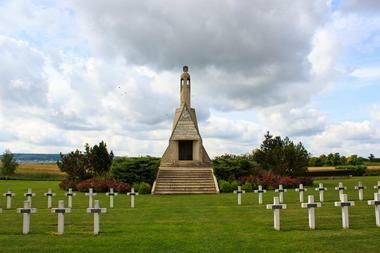 There is no review about Sillery-Bellevue French Cemetery, be the first to leave one !